This week we've released a significant update for our customers with advanced performance tracking needs — support for Garmin Connect IQ data metrics and sensors. We are super excited about this new feature and the possibilities it opens up for post-workout analysis. Judging from the CIQ data we're seeing flow into the platform, all of you are going to be excited too. If you're already using a Garmin CIQ app that records data with auto-sync from Garmin Connect there's nothing you need to do; data will start appearing in the chart on the Workout Detail page when you finish your next run or ride. You can pick any recorded CIQ metric to view along with all your standard metrics such as heart rate, power, speed, elevation, etc. 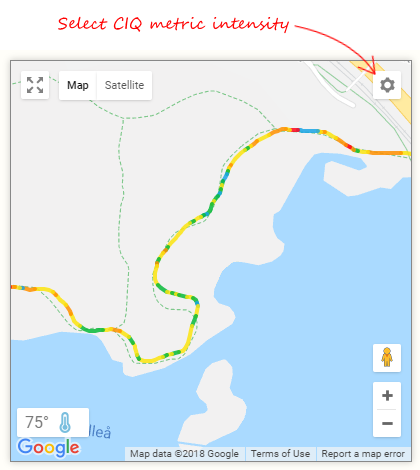 You can also pick any custom CIQ metric to color-code the intensity of your route with our map tracks, easily showing changes based on terrain, surface or grade. If you're new to CIQ apps or want to get into the details keep reading. 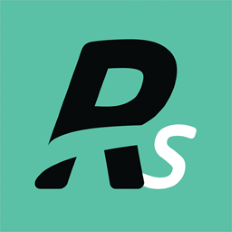 This week adds several new features that we are going to build on this spring and summer. When importing a FIT file or syncing from Garmin Connect or any other service or app, if the workout contains recorded CIQ sensor data it will be imported and stored with your workout data. If the workout being imported has a new CIQ field (new to the athlete), a custom field will be created with the field name, units label and a color from our beautiful palette. Custom sensor data will be displayed in workout details, available as a selectable chart metric like any other. The custom metric will also be available to color-code the intensity of your route. You can use all the existing chart and mapping tools to analyze this data, select a segment to see data within a distance or time range, overlay with other metrics, and even use these metrics on the workout compare page to see changes over time. As we rolled this out this week we have been astonished at all the CIQ data fields coming in and the apps people are using. It turns out about 8% of our athletes are tracking workouts with custom data. Crazy! So what are people using? Lets look. It's no surprise our most used app is for the Stryd run power pod. 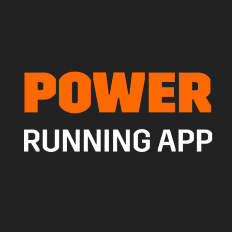 In addition to run power (which we have been displaying for a long time) you can now gain insight into form power and leg spring stiffness changes during your run. FIT files from runs recorded with the Stryd Apple Watch app will display these metrics in SportTracks as well. RunScribe is a great system. In addition to the standard running dynamics and power data you get from Garmin and others, RunScribe gives you information about footstrike location, pronation angle, impact force and braking force — for each foot! 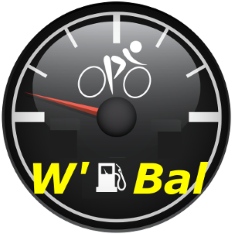 If you're a cyclist using a power meter W' balance is a way to visualize how much "gas is in the tank" after high intensity efforts above FTP. This is a super useful data field for live tracking, but also valuable for post-ride analysis. There's more than a dozen VO2 estimation apps on the Garmin app store. Take your pick. This seems to be a very popular piece of data. The Flexirunner app brings several new CIQ fields, including running economy. This is another great piece of data to look at for post-run analysis in combination with your route and terrain conditions. Of course, this is just a tiny example of the apps available on the Garmin CIQ app store. The sky is the limit. Check it out. If you were paying attention, you may have noticed in the info above that I mentioned when a new CIQ field is imported we create a custom field for it. This feature update includes an entirely new piece of infrastructure for custom fields that we will be adding later this year — to workouts, gear and athlete health measurements. This means in the near future you will be able to set the color and label for your CIQ fields (or hide them), and farther down the road you will be able to add completely new custom fields, to track whatever you want. Another idea we are working on is improving the display of summarized data for these fields. Seeing the detailed data over the course of a ride or run is great, but wouldn't it be nice to see a sumarized average, or maximum value in a total block, or on the Workouts page, and to see zone duration breakouts on the Analysis page, and historical trending and charts? Our goal is to integrate customized field data throughout the entire app, so it looks just like the "standard" fields. That's all for now. So what is your favorite CIQ app? Good news, but will you be able to handle Garmin-specific data that do not come from apps? Example:Training Effect. Yep, this update also includes a new metric for Training Effect on the Health page, and starting today any data imported from a FIT file or auto-sync from a service that includes a Firstbeat Training Effect value from 1.0 to 5.0 will be recorded as a health metric at the moment the workout ends. We currently ignore values less than 1.0 since the Firstbeat documentation describes this as having "No effect on training", and we found a lot of short workouts, transitions, and such would report small values of 0.1 or 0.3, throwing some havoc into an otherwise useful chart. Great! Will that include both aerobic and anaerobic TE? Will other firstbeat-related metrics (or other Garmin specific metrics like their advanced running metrics like vertical oscillation etc) also be handled? Could be handled in a similar way to the app custom fields/tracks I assume? I'm not sure what the question is on running dynamics as that has been supported for over four years? Thanks for your quick reply. I have followed your link above and checked with my data in the destktop version (Mac): I cannot see those features in my (desktop) version of ST. Sorry, they ought to be there - no doubt, but not in my actual version. How can I fix that? - Would like to open two tickets for my questions (Running Dynamics & Peak Performance Prognosis) but I admit I am not familiar with the procedere - can you please 'transfer' our conversation on both to email - I will follow then up with both topics via help desk /support. Appreciate that you will also show Training Effect. What about the other Garmin 'Specials': Stride Length/Ground Contact Time / Average Bounce ? - Would be nice (too). Apart from the actual topic: As you can easily verify from me entries/imports I have been using ST on a regular basis for the past 4-5 years and some 200 sessions per year. Great stuff - couldnt train/analyz without your tool. - Slight comment: I think you should take a profound look behind the logics of performance peak prognosis: At the moment your curve conveys the picture that at a given moment (have look at at my actual data!) the best way to reach your peak performance is DOING NOTHING for the next 6-7days! - If any professional coach would advise me this way - he certainly was my EX-coach? - Maybe you can explain to me the logic behind that 'prognosis' - Thnx for your help! Take a look on your next run you'll see the data imported in the chart. I believe some of those are computed during display - stride length for example being something like distance / cadence? So that wouldn't be included in this CIQ import update. Thanks for your answers on the CIQ import topics. I have yet another question pending on the regular support level mailchain that is - in my view - still open for answers I could not get there. Can you please follow up on my 'performance forecast' question? You will find various emails with specific question marks from my side from recently and no answers on that particular question marks (as far as i am concerned). I am very unhappy with the poor quality of the answers I have gotten there untill now ( Note: No blame on single persons answering please - just a matter of (in my mind) very specific questions posed and 'unspecific' answers given. Could you give YOUR oppinion and solution on that 'performance forecast bug'? Great stuff! Will you guys also add the capability of directly getting VO2 max and resting heartrate from Garmin and putting that on the Health page? I strongly support Richard's idea of VO2-Max Import, especially because of the poor quality of Garmins grafics and historical data presentation there. So if you have problems to get historical (day-by-day) data, i would be very happy to get actual VO2max data imported from the time/day of update .. Yes. Estimated VO2 Max is now imported for Garmin models that support it and displayed on the health page. You'll need to customize the display and select the metric. We track the metrics by the primary sport type (run, bike), as well as overall estimated VO2 max. What do you mean resting heart rate? Do you mean RECOVERY heart rate? Yes importing an old workout will also pull in the estimated VO2 max tagged at the ending date + time of the workout, assuming it was recorded on a Garmin device that supports estimated VO2 max. You can also simply add the value manually to the health chart - it's an editable historical metric like any other. CANNOT verify: Manual entries of VO2max data: I can access data fields (date/value), but not store any date/value combinations. Can you check please. Thnx. PS The manual entry of Effort values and the Garmin reimport of the original .fit-file produces the results promised. Thanks! 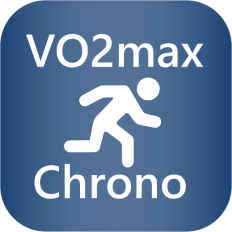 I've added the VO2 Max to my health page although its blank at the moment. I have the Garmin 935 but perhaps it takes some time to grab data. For resting heart rate that's exactly what I mean. The Health page already has Resting heartrate but it doesn't grab the data from Garmin. 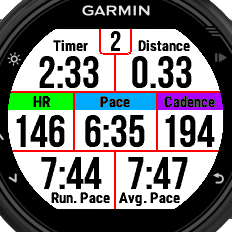 I need to look at Garmin Connect everyday, go to Sporttracks and type it in. How is it possible to Export Datas from Sportstrack ?